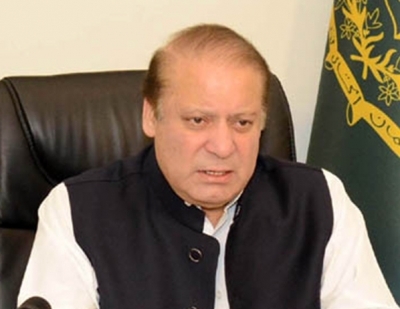 Islamabad, Aug 8 (IANS) The Election Commission of Pakistan on Tuesday issued a notice to the ruling Pakistan Muslim League-Nawaz (PML-N) to appoint a new party leader following the disqualification of Nawaz Sharif by the Supreme Court. The poll panel stated that a disqualified legislator cannot hold any position in a political party under the Political Parties Order 2002, Daily Pakistan reported. The notification also referred to the July 28 apex court ruling in the Panama Papers case in which Sharif was formally asked to step down as Prime Minister over undeclared assets. The verdict stated that he was not “honest” and “truthful” as per the country’s Constitution. The poll panel said that Article 15 of the PML-N’s own party constitution stipulates that if the seat of party President is vacant, it is to be filled within one week’s time. Shortly after the ECP’s notification, the PML-N held a high-level meeting of senior party members, including Finance Minister Ishaq Dar and former Interior Minister Chaudhry Nisar, Dawn newspaper reported. The poll panel notice comes a day before Sharif is set to travel to Lahore for a “historic” two-day rally by the PML-N to garner much-needed political mileage in the face of the challenges its government is facing, the daily reported. Meanwhile, Pakistan Tehreek-e-Insaf (PTI) leader Imran Khan urged the PML-N to distance itself from the ousted Premier, warning that it would “ruin itself” if it did not do so. Khan had also alleged that Sharif’s plan to travel to Lahore with a cavalcade was a “deliberate attempt to undermine the Supreme Court” by calling into question its verdict in the Panama Papers case. Sharif, however, said that the procession was not “a protest” but “a journey back home” that he was undertaking because “risks need to be taken for the country”.